This is actually the third movie based on the immensely popular fighting games, but Tekken: Blood Vengeance (Manga Entertainment) is the first fully computer animated version and was originally available as part of the Tekken Hybrid package. It looks great with smooth fluid CGI. The fight scenes are beautifully choreographed – particularly a three-way punch up between Jin, Kazuya and Heihachi – but for a film based on Tekken there just aren’t enough. Too much of the run time is filled with grade school espionage, focusing on Ling Xiaoyu and Alisa, before descending into mystic babble for the final apocalyptic showdown. Certain scenes will prove baffling without at least a basic understanding of Tekken lore (continuity freaks will be pleased to know Blood Vengeance stays true to the official storyline and slots in between Tekken 5 and Tekken 6). If you are a massive fan of this fighting franchise you’ll find more to love but you might be disappointed at how few fan favourite characters are featured. 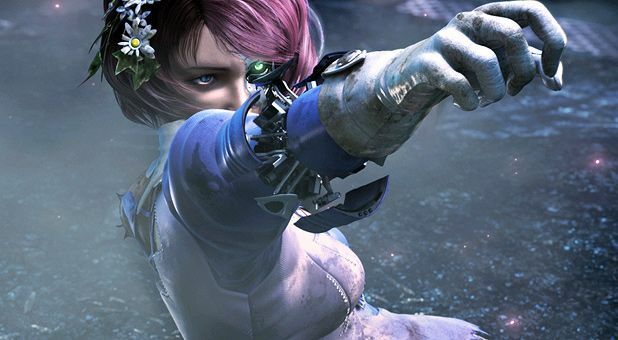 Fighting action as videogame Tekken comes to the big screen.